Does that mean there'll also be a podcast? YAY!!!! Just the boost we need ahead of Toulouse in the RDS!!! Blues Talk TV returns with a look back at Leinster’s performances over the Christmas period and a review of the current state of play in the Guinness Pro14 before previewing our Heineken Champions Cup clash with a reborn Toulouse side. This week we take a look back at Leinster’s bonus point victory at home to Toulouse in the Heineken European Champions Cup and review the rest of the weekend’s European results before previewing our trip to Coventry to take on Wasps, discussing the rest of the week’s rugby news and answering questions from our viewer. 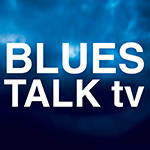 bluestalktv wrote: [url=https://bluestalktv.wordpress.com/2019/01/16/blues-talk-tv-episode-315/]... and answering questions from our viewer. Bit harsh on yourselves guys? We're a gestalt consciousness. Isn't that right Dave? We are many, but we are but one viewer. This week on Blues Talk we take a look back at Leinster’s Guinness Pro14 victory over Scarlets and review the rest of the weekend’s action. We also preview the upcoming Six Nations tournament and look forward to Ireland’s opening clash with England in the Aviva Stadium. Hey lads, what's the story? Only for I follow ye on FB and Twitter, I wouldn't have caught your last two episodes. Are ye not putting up notices here anymore for d'addicts? riocard911 wrote: Hey lads, what's the story? Only for I follow ye on FB and Twitter, I wouldn't have caught your last two episodes. Are ye not putting up notices here anymore for d'addicts? 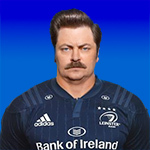 This week on Blues Talk we take a look back at Ireland’s victory over Scotland in Murrayfield and review the rest of the weekend’s Six Nations results before previewing Leinster’s trip to Italy to take on Zebre in Viadana. You are correct sir - I got a bit carried away writing the description! Great show lads. Particularly enjoyed the little excursion to the Vic and the Rovers!! !